Do You Know How to Provide a Balanced Diet for Your Horse? 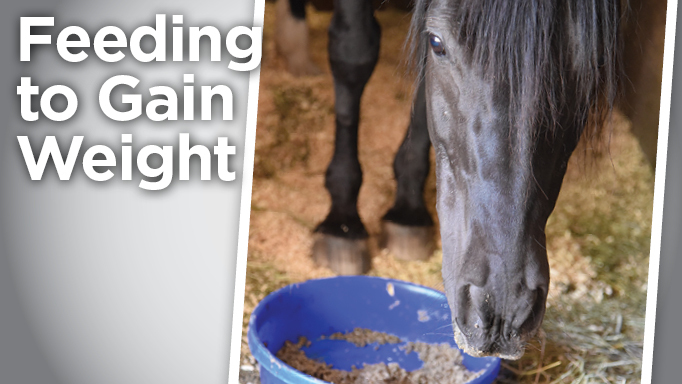 Do you know how to provide your horse with a balanced diet? As a horse owner, you probably have an idea of what you, or your barn manager, do in terms of feeding your horse/s to meet their nutritional requirements, but you might wonder what others are doing. Are they doing something different? What do they know that you don’t? And where do they get their information? As an equine nutritionist, I know how many grams of a particular nutrient a horse needs, how it can be fed to meet those requirements, how its diet should be managed and what supplements, if any, it should get. But I also wonder if horse owners listen to anything I recommend. I hope so! Indeed, other equine nutritionists wondered this also – and there have been several studies reporting surveys of feeding practices of horses in the “real world.” Many of these studies also included “tests” evaluating horse nutrition knowledge…which I know my readers would ace, right? Obviously, feeding practices in other parts of the world will be different, and even the southern areas of North America have different feeding practices due to climate, pasture and feed availability. There are two studies that focused on the northern parts of the United States and New England and the Upper Midwest (South Dakota and neighbouring states). These are Hoffman et al., J Equine Veterinary Science, 2009, 29:719-726 and Mastellar et al., J Equine Veterinary Science, 2018, 62: 109-115. 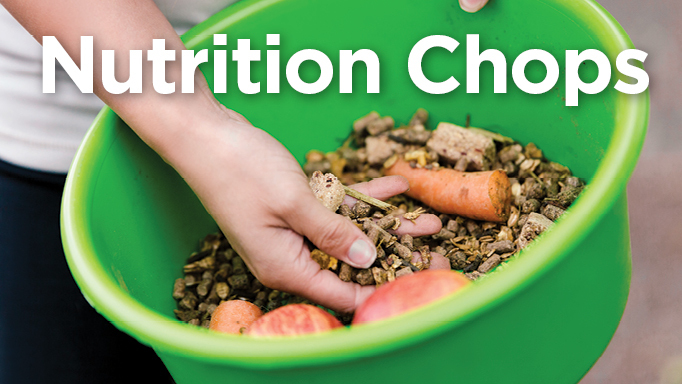 Both studies aimed to characterize feeding practices as well as horse nutrition knowledge. In terms of feeding practices, most respondents of both surveys said their horses had access to fresh grass, and were supplemented with hay when pasture was unavailable. Obviously, there will be large variations in this, mostly depending on how much acreage one has. Also, the growing season for fresh forage is going to be different between southern Ontario and Northern Alberta, for example. The Mastellar study also reported changes in feeding program from summer to winter months, and reported that 83% of respondents increased hay in the winter, and 41% increased concentrate in the winter. The type of forage fed also depends greatly on location and availability, with Timothy hay being reported as common. Hoffman reported 21% of horse owners and Mastellar reported 16% of owners had their forage tested, which is something I highly recommend so you know what nutrients might be lacking. Most horses in both surveys were fed concentrates (96% in Hoffman and 71% in Mastellar), and Hoffman reported that 70% of horse owners feeding concentrates measured the feed in scoops, with only 11% reporting that they weighed their horses’ feed. Mastellar only reported 7% measuring feed by weight, though more than 84% of respondents reported that weighing was the most accurate way to measure feed. The majority of horse owners give their horses supplements (54-80%), though the Mastellar study (at 54%) reports the wording of the question may have underestimated their use. Issues warranting diet modification or supplement use were joint health, hoof health, coat health, gastric ulcers and for electrolyte supplementation. These findings are similar to reports from supplement companies. Another feature of this question was regarding why grain or supplements were offered, and mineral or vitamin needs ranked the highest reason for giving a horse grain and/or supplements. Over-supplementation of minerals has been reported by several other studies focusing on different types of sport horses, and such practices could contribute not only toward a toxicity problem for the horse, but excretion of some minerals can result in contamination of underlying watersheds. The Mastellar study also asked questions regarding body score (using the 1-9 Henneke scale) and body weight. The average body condition score reported was ~7, though the range was 3-10. Even though the scale only went to 9, 19% of respondents reported their horses being a 10! This suggests both a lack of knowledge regarding body condition scoring and perhaps suggests a large percentage of overweight horses, both of which distress me as I always try to educate people about body condition scoring, and because obese horses are prone to exercise intolerance, insulin resistance, laminitis, overheating etc. Along these lines, 47% of respondents reported not having body condition scored their horse previously, though 43% of respondents thought it should be done monthly, which is a good time frame, in my opinion. The tests about equine nutrition knowledge were different between the two studies, though both reported a general low-to-moderate understanding of equine nutrition. The Mastellar test was more detailed, and included questions regarding nutrients, calcium to phosphorus ratios, how much horses should be fed, nutritional disorders etc. The average score was 10.8/20 points. This study also compared scores with horse ownership (number of horses) and years of horse experience and found no relationship. These authors did report a weak, but significant relationship between the number of horse organizations an owner belonged to and their test score, such that for every organization one belonged to their test score increased by 0.4 points. books/magazines 42% – Yay for magazines! scientific publications 25% – Yay science! equine nutritionist 19% – Wait, what? Equine nutrition information is only sought from an equine nutritionist 19% of the time? It was noted that veterinarians may be more commonly asked about nutrition because of their regular and existing relationships with horse owners and their horses, but it’s important to note that not all veterinarians get equine nutrition as part of their formal education. Overall, it seems that most horse owners feed their horses hay and/or pasture, some grain and supplements. This seems about accurate for most horse owners, though I hear of some crazy things once and while, from Guinness beer or wine, to hamburgers or pasta. It is certainly interesting to learn about why horse owners feed various supplements and where they get some of their information. These studies highlighted the need to increase the awareness of equine nutritionists as independent resources for nutritional education. 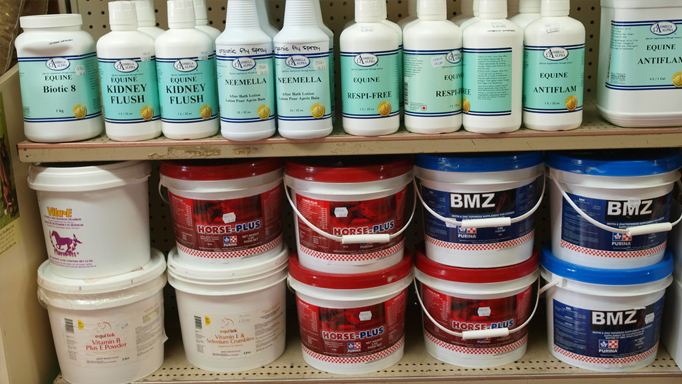 How does your knowledge of equine nutrition stack up? Take the following quiz to find out. 1. 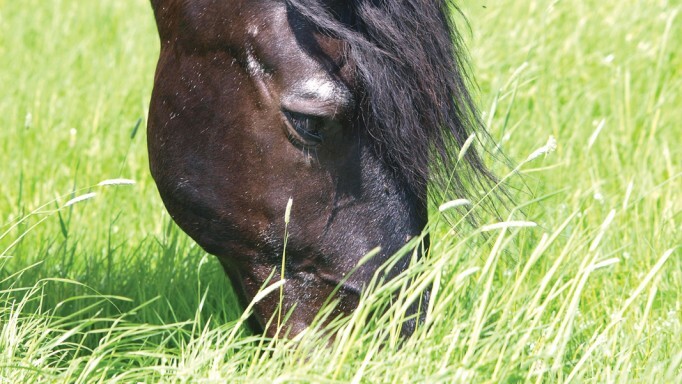 The most important nutrients a horse needs come from forages. 2. A mature horse should consume at least what percentage of its body weight in dry forage (such as hay) each day? 3. Hay made with alfalfa is higher in protein than hay made with Timothy grass. can make your horse sick from too much vitamin A. 6. Non-structural carbohydrates are an important part of a horse’s diet that struggles with metabolic issues. 7. Wheat bran mashes are an excellent laxative for your horse. 8. Approximately how much does one flake of grass hay weigh? offer a horse water right after exercise. 10. What nutrient is has been shown to be beneficial for horse’s hooves? 11. Beet pulp should always be mixed with water. 12. Some types of oils may be better for your horse than others. Actually, water is the most important nutrient in a horse’s diet. Access to clean, fresh water should be available at all times. The average mature horse should drink about 10 gallons per day. As a general rule of thumb, a mature horse should consume at least 1% of its body weight as hay or other forage. If offered “free-choice,” most horses will consume about 2% of body weight in dry forage, though some may eat more. For example, a 500kg horse (about a 16hh Quarter Horse) should eat at least 5kg of hay, but will probably eat closer to 10kg of hay. Hay made up of legumes, such as alfalfa or clover is higher in protein and calcium, with a slightly higher calorie density than hay made predominantly of grass hay like Timothy or brome, for example. Alfalfa and other legume hay should only be fed to horses with high nutrient needs, like growing or lactating horses. Trick question! There actually isn’t any vitamin A in carrots – only beta carotene, which can be converted to vitamin A. Beta carotene is water-soluble and relatively non-toxic. Sodium is notoriously low in all horse feeds including hay, pasture and most grains, so that’s why it’s important to offer your horse free-choice access to a salt block at all times. If you chose D, you’ve been watching too much X-Men. Non-struct…what? Horses with conditions such as Equine Metabolic Syndrome or insulin resistance, should stay away from feeds that are high in non-structural carbohydrates (aka starches and sugars) because sugars exacerbate the problem. Wheat bran mashes have actually been shown to have no effect on the water capacity of the feces, which is what a laxative is supposed to do. Altering a horse’s daily/weekly feeding routine can also potentially do more harm than good by suddenly altering the substrates reaching the microbial population in the horse’s large intestine, which could increase the risk of colic. Bran is also extremely high in phosphorus, and if fed regularly can throw off the ideal calcium to phosphorus ration (of 2:1) and can be dangerous unless the diet is carefully balanced with added calcium. One flake of grass hay from an average sized square bale weighs approximately 3 lbs, but this can vary. Weigh your hay so you can be sure you’re feeding the correct amount. If your flakes weigh only 1 lb, you may be feeding straw! This is an old wives tale, horses should always have access to water. Kind of. It really depends on the horse. Many horses do fine on shredded beet pulp added to their regular feed, but to be safe, you can always soak it in water prior to feeding. If you feed pelleted beet pulp, you should soak it to reduce the risk of choking. 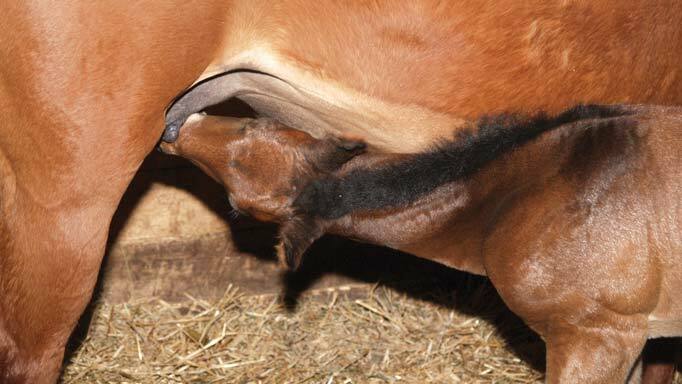 Q: What is colostrum, and why is it so important for the newborn foal?